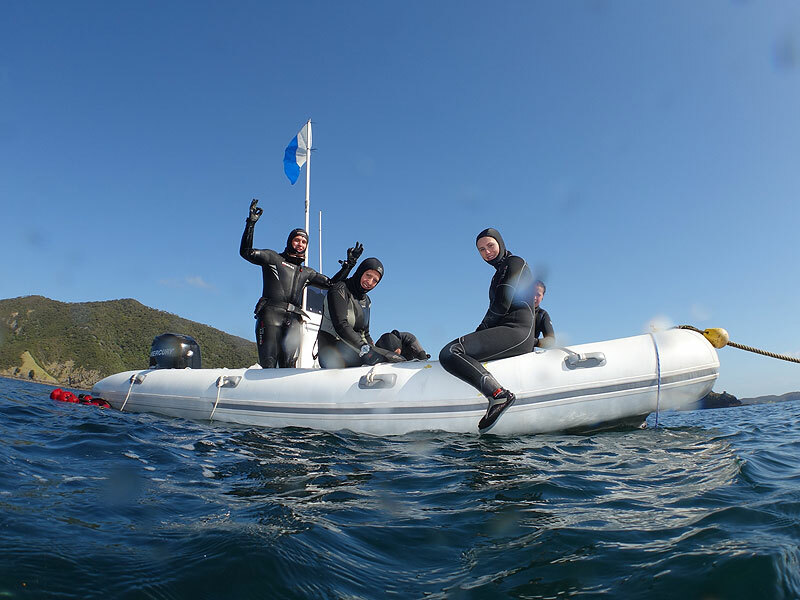 We headed back up to the Bay of Islands again to dive the Canterbury Wreck, followed by a couple of dives on the Waikato Wreck out of Tutukaka. 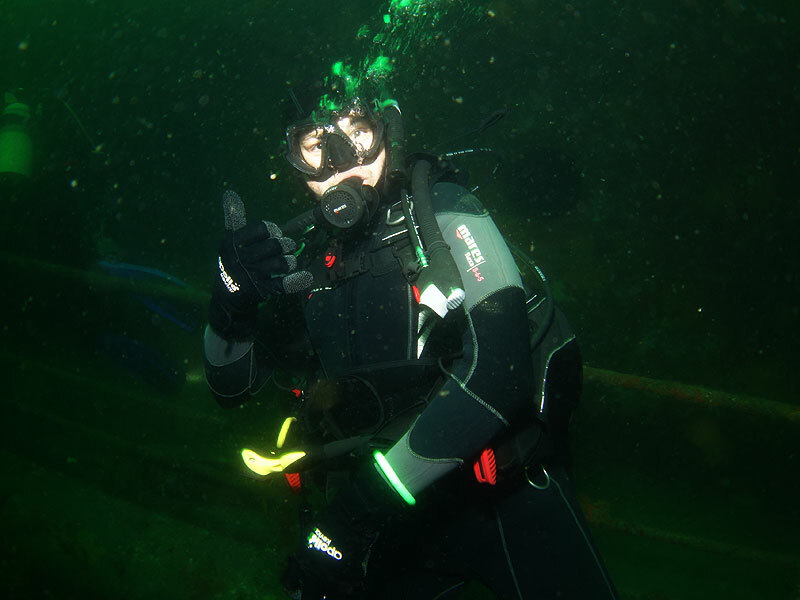 Sam headed the group to rack up a few more dives towards their Padi Specialty Wreck Instructor rating. 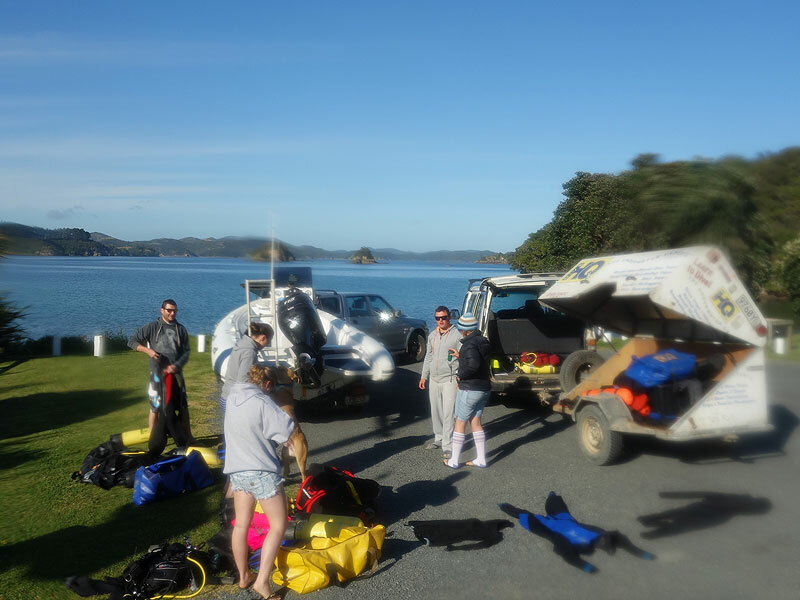 We stayed at The Farm and headed across to Rawhiti to kit up and launch the boat for the short trip around the corner to Deep Water Cove. Unfortunately, there was a plankton bloom and the visability was not ideal but we still managed a couple of great dives.